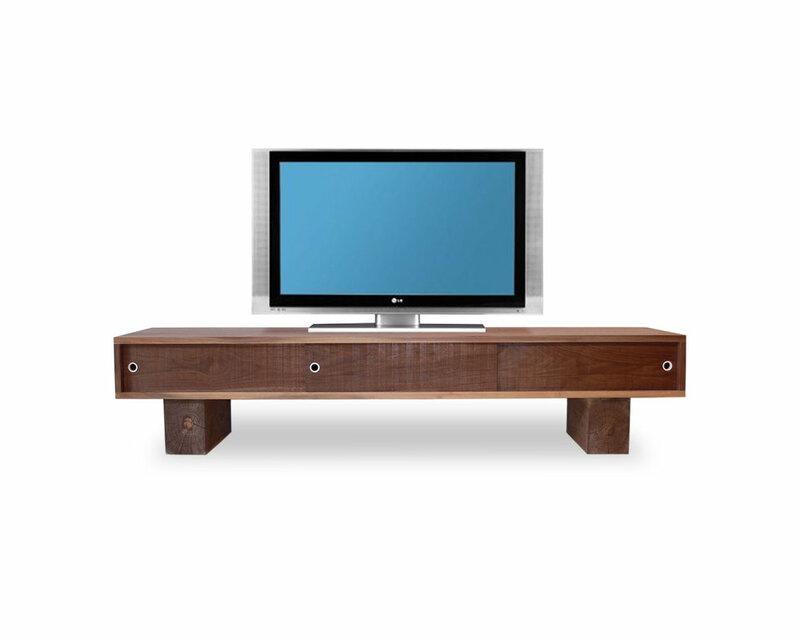 The SENTIENT Foothills live edge hardwood and glass TV/Media console is a timeless statement; a live edge slab supporting a tempered water white glass shelf supported by two angled pillars. 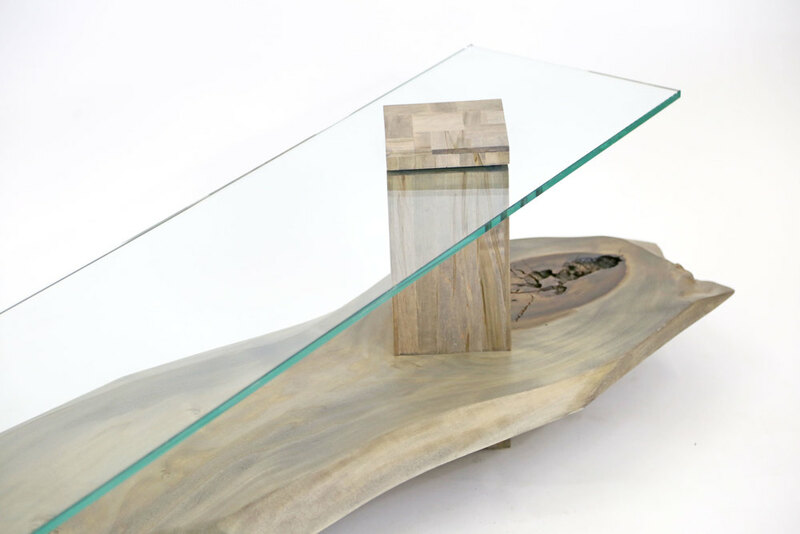 The use of the water white glass provides a clean view of the hardwood slab with is striking graining, coloring and outer live edge. 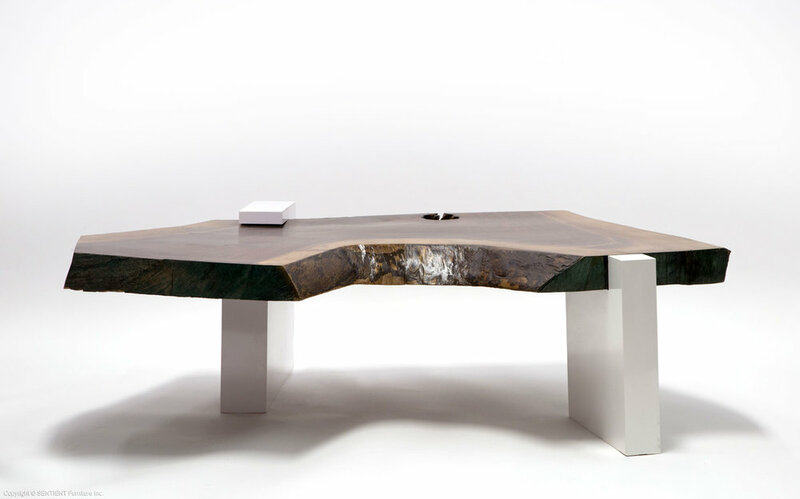 We named it the Foothills as it seemed to suggest somewhere like the lower slopes of the Colorado Rockies: maybe looking from the modern city of Denver to Boulder and beyond to the wild Rocky Mountains. 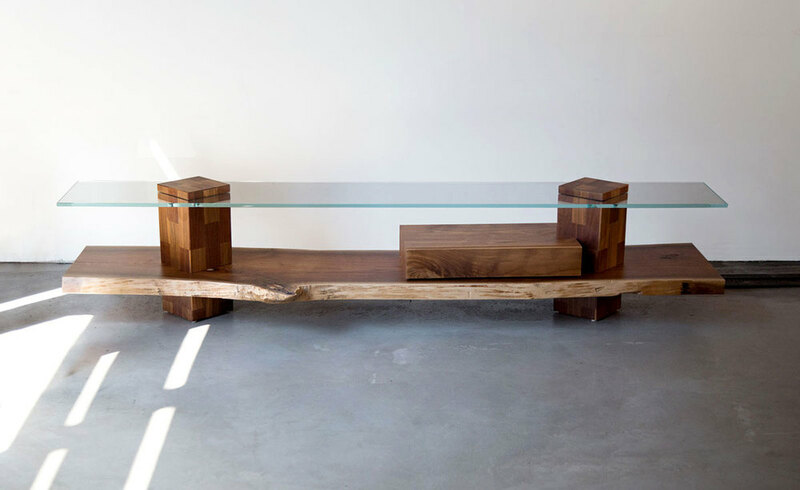 Available with a storage drawer or without, in either American black walnut or maple with our driftwood finish. 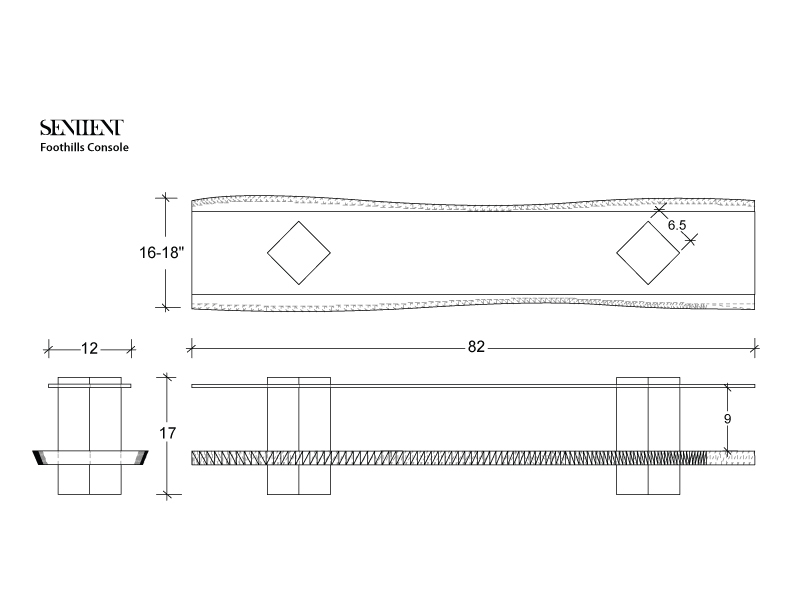 As shown it measures 82”L x 15”-18”D x 16”H. 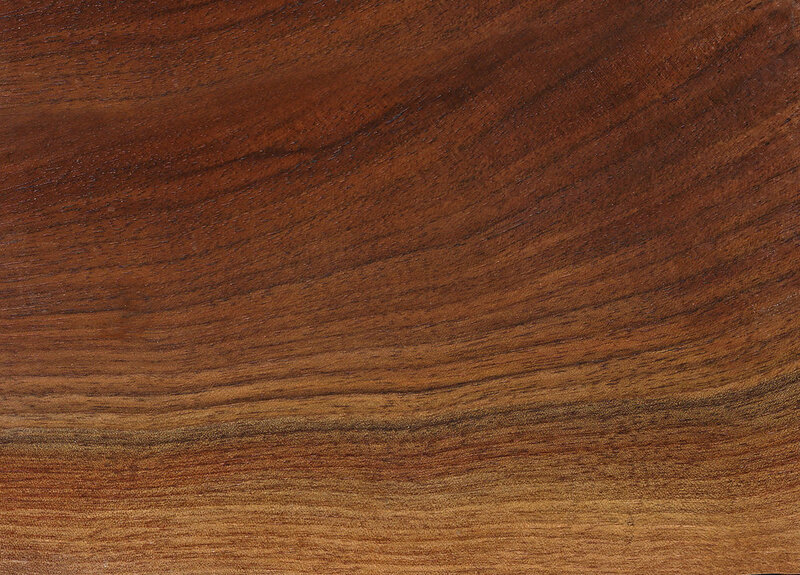 Every walnut live edge slab has different dimensions therefore sizes may vary slightly. 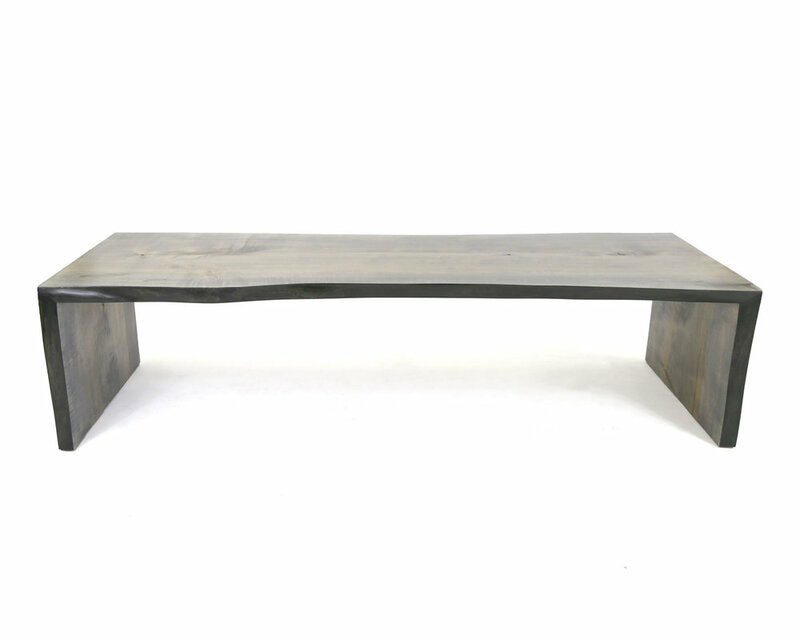 Like most SENTIENT pieces the Foothills Console can be made to custom sizes. 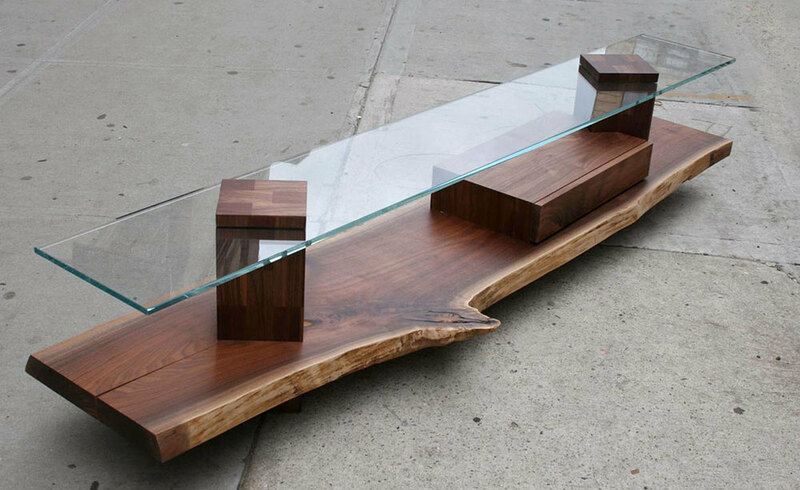 Dimensions: 82”L x 15”-18”D x 16”H. 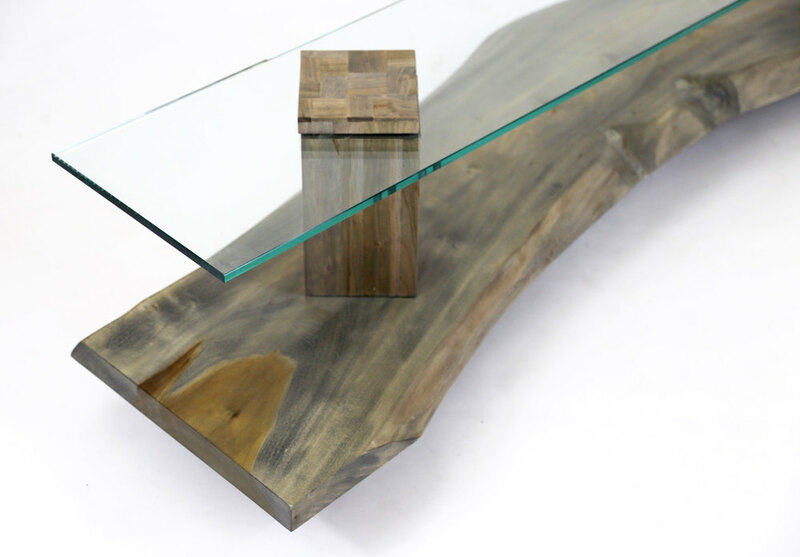 One-of-a-kind design considering the unique characteristics of live-edge hardwood slabs.